Getting a great result with eyelid surgery can have such a powerful benefit for patients. An estimated 216,000 people had eyelid surgery last year in the U.S., and when you see typical before and after results, it is clear why this is a “top 5” cosmetic surgery procedure (only breast and nose reshaping rank higher). 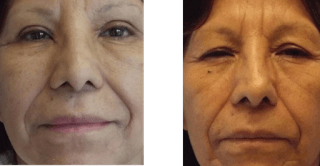 By removing droopy, heavy skin of the upper eyelids, and smoothing bulging fat bags of the lower lids, patients can look and feel more alert and energetic, without looking artificial or operated on. It is rare to have any visible scars on the eyelid-- the thin skin heals so well. But all this good news is balanced by a series of real challenges for the patient and surgeon. The eyelids can swell and bruise noticeably, so recovery often takes at least 1- 3 weeks before patients start to look close to normal-- and results continue to soften and improve over many weeks. The eyelids are front and center in our face- so those who want to get right back to work or play, or have an important event coming up, better think about scheduling at a time when things are slower. While eyelid surgery, known as blepharoplasty, usually does not hurt much, some can feel some soreness or rarely have a scratched or irritated eye, which is quite uncomfortable. Fortunately this condition improves over a few days. Some patients can temporarily develop more tears, and others need frequent eyedrops to prevent dry eyes. Over time, these bothersome symptoms go away, and most all patients are happy with their results. Votes from Realself.com show a 94% “worth it rating”, an exceptionally high patient satisfaction rate. In our WESTMED Plastic Surgery Practice, we see a similarly high rate of pleased patients- with most saying this plastic surgery procedure was one of the best things they have done for themselves. Blepharoplasty with cheek fat grafting result, Post op view on left, before surgery on right showing severe lid and facial drooping. Even though the results are generally excellent, this is one type of cosmetic surgery that will always leave some wrinkles and imperfections behind. I often tell patients that you might not even look any younger-- just better for your age (though some patients can look years younger). Not every fold of skin and blemish can be removed safely. The eyelid area is made of delicate skin and muscles with a vital function in protecting the eye, and the lids need to work properly- not just look good. As many as one in ten patients can have some minor asymmetry between the lids, excess swelling or improper lid position after surgery- and fortunately most all of theses patients get better over a bit of time or with a minor second procedure. For all these reasons, choose a highly qualified plastic surgeon with significant experience-- all American Society of Plastic Surgeons will have a minimum of 5 years of training after medical school in plastic and reconstructive surgery. While I sometimes perform only upper eyelid surgery, it is more common to perform the procedure as part of a more comprehensive eyelid-area improvement. A typical procedure include: treatment of the upper eyelids, lower eyelids, fat grafting to the cheek region just below the lower eyelid border to smooth the transition between lid and cheek, Botox to the wrinkles at the corners of the eyes and mid forehead, and possible a chemical peel to the skin surface of the face. Many request treatment of the lower face and neck as well. When done with precision, the changes are subtle and lasting, making a nice improvement. Patients who look overly-operated on or “fake” or “plastic” looking, often have repeated procedures too many times, had too much filling to lip or cheek areas, too much skin or fat removal or overly elevated brows. In the pursuit of perfection, these patients or their physicians have just overdone it. Occasionally these patients are pleased with their outcomes, in which case I am happy for them, I just can’t replicate their results for others. A natural result always takes more finesse than a heavy-handed approach. 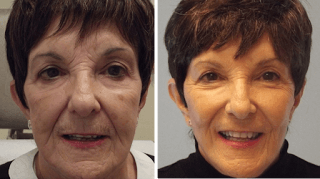 If you are considering a facelift, eyelid lift (blepharoplasty) and you are in the New York area, or are willing to travel for your procedure recovery, we would be happy to meet you.